Hi guys! it's time for spring manicures! Most of the time I don't really match my nail colour to the time of the year. I will wear black in summer and baby blue in winter if I feel like it. But today I did want to go with the season. Spring always improves my mood after a long dark winter, and I wanted my nails to reflect that. 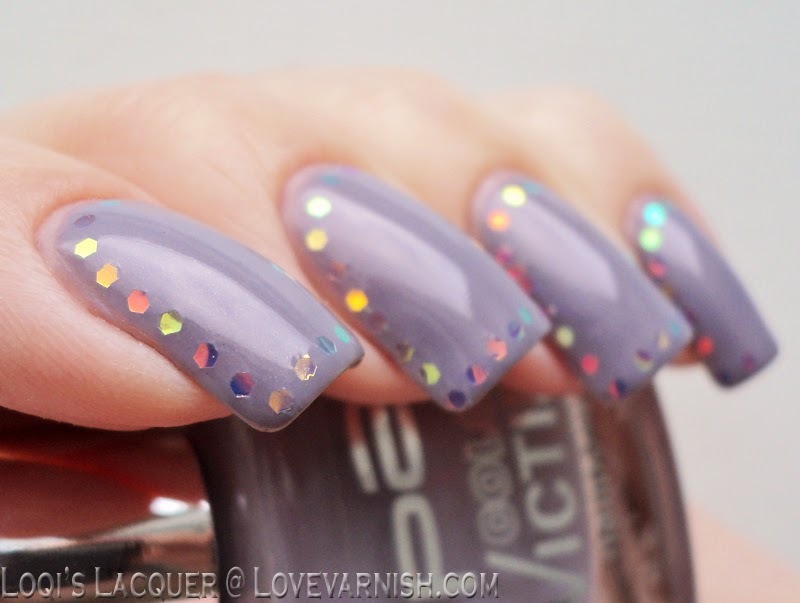 So this week I've got a fun and sparkly sequinned nail art for you on a pretty lilac base. The base for this manicure is the lovely P2 Elegant, a lilac polish that looks like a crème but actually has a very subtle pink shimmer to it which is impossible to capture on camera. I used 3 coats of Elegant and then, while the last coat was still tacky, I pushed the iridescent sequins on to it. I then sealed them in with topcoat, and that's it! Very easy to do, but I love the effect: sparkly but not too much so. So what about you guys? Are you wearing your spring polishes yet? Or do you wear every kind of colour all year round? Please let me know in the comments and see you next week! Winter was so long that I actually jumped from wintery vampy shades to summer neons! I do envy your patience for doing such a mani, too! I'm like you I like to wear what I want when I want. Love this it is very elegant. This is so gorgeous! I adore that glitter that you used! I tend to wear seasonal things, but I do sprinkle in non-seasonal colors pretty often. Beautiful Shade, loved how you teamed it up with delicate sequins. Beautiful manicure...I love the glitter! I'm 100% into spring shades right now...we had our first truly beautiful spring day yesterday and it was fabulous! Nice color choice and glitter placement! I love the sparkle added by those iridescent glitter. Glitter all the things, I love it. Let's say I lean more towards spring shades in spring and winter shades in winter, but sometimes I like to mix it up, I just wear whatever I want. 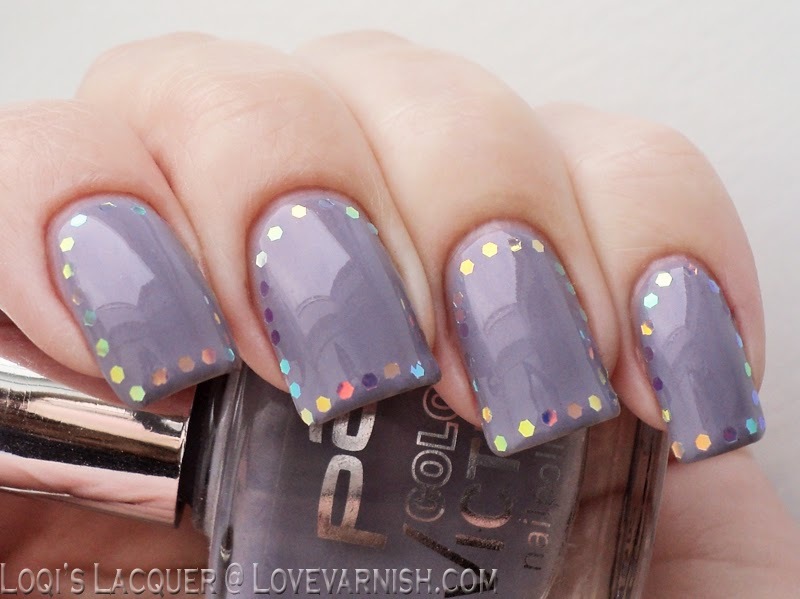 This mani is awesome, I love the subtle bling, gorgeous! I tend to let my mood determine what colors I wear but it does tend to go along with the seasons for the most part. Thats not to say I wont rock a neon in the winter or a dark vampy color in June. 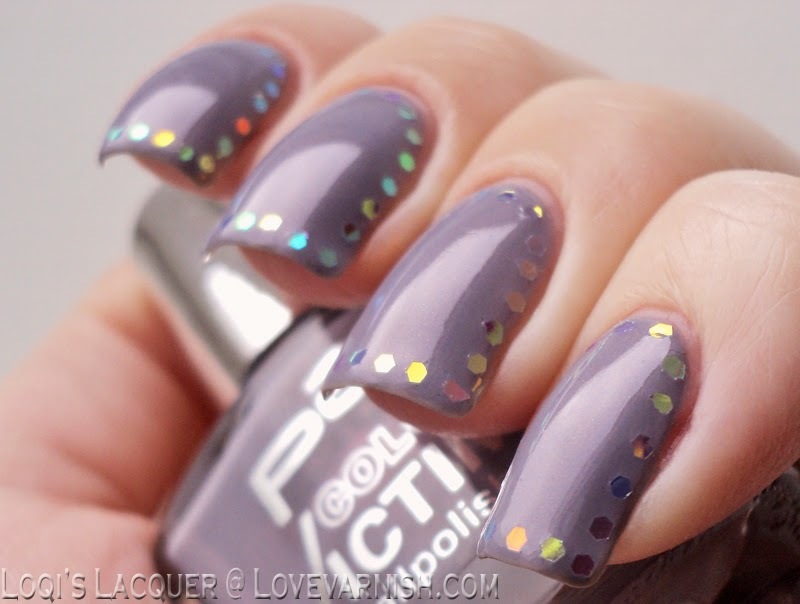 These glitters go so well with the base color, and give just the right amount of subtle bling.